The rise of Hampshire as one of England’s premier sparkling wine producing regions over the last few years has been remarkable. 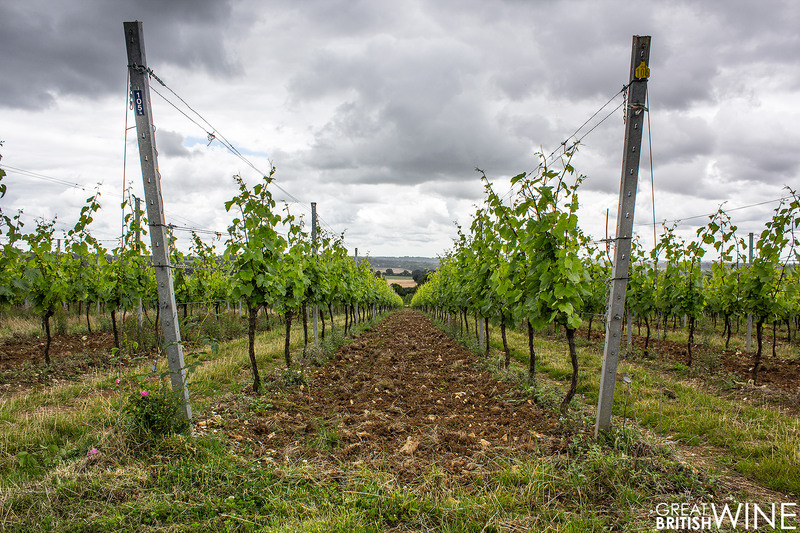 Nestled in Hampshire amongst acres of farmland is a cluster of producers known as the Vineyards of Hampshire. A late April visit to Hampshire saw an action-packed visit for the Great British Wine team, starting at one of the most significant producers in the region: Hattingley Valley. 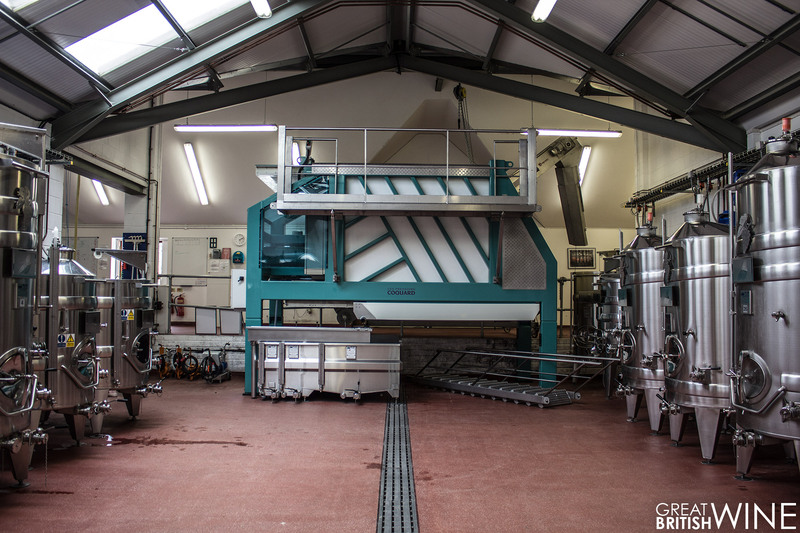 Whilst Hattingley is a well-established producer of their own label wines, it is also the base for a large contract winemaking business to local growers of all sizes, including fellow VoH members and Cottonworth and Raimes. This approach has led to a rapid expansion of a very impressive winery, and the striking of deals with local producers to become both Hattingley growers and contract winemaking customers. It’s a very fruitful approach and really helps to emphasise the county-wide community approach that Hampshire has embraced so well. The initial vineyards were planted in 2008 under the watch of business man and owner Simon Robinson. Simon met with winemaker Emma Rice in 2010. Impressed with her ambition and passion for winemaking she was quickly brought on-board. Whilst starting as a small-scale producer, the decision was made very early on to work with other local producers. The winery is superbly well-equipped; sitting proudly in the centre is a state of the art Coquard press. This 4 tonne press is famed for its slow, gentle pressing allowing the very best juice extraction into segregated tanks. A vast array of fermentation tanks of all sizes surrounds the press and two neighbouring winery rooms, allowing varietal and block segregated ferment. A portion of wine, approximately 20%, will go into a wide array of old white Burgundy barrels for barrel ferment. The oak is used to add texture and softness into the final wine bland, as the winemaking style of Hattingley is round, appealing but not oak dominant. Partial malolactic fermentation is utilised, subject to the winemaker’s discretion. The sheer scale of the facilities at the main Hattingley site is hugely impressive, though as we are toured around by Cláudia Lopes, we learn that there is never enough space for all of the wine they produce. A large off-site facility is used to store vast amounts of Hattingley and customer wines, both those undergoing secondary ferment and finished disgorged stock. 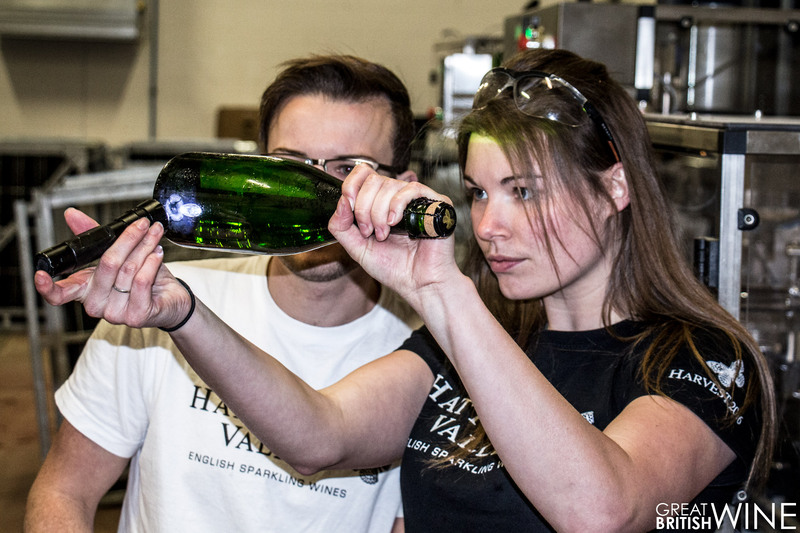 The Hattingley Valley winery is packed with English winemaking talent and home to two of the industry's brightest stars; Emma Rice and Jacob Leadly. The business also has a strong focus on developing talent too, with an apprentice scheme that saw Zoë Driver join last year as apprentice winemaker. We arrive at the bottling room to see her hard at work preparing a batch of recently riddled wine for disgorging on a fully automated machinery line (shown on the left). Trying not to get in the way too much, we watch in excitement as the bottles pass one by one through disgorge, dosage and closure, before being inspected by Zoë’s watchful eye for any lees residue. We also have an opportunity to visit the wine cave – a tall-ceilinged room full of oak barrels and riddling palates as far as the eye can see. This room has a peaceful but beautiful atmosphere and smell of wine and damp oak. So what’s next for Hattingley? 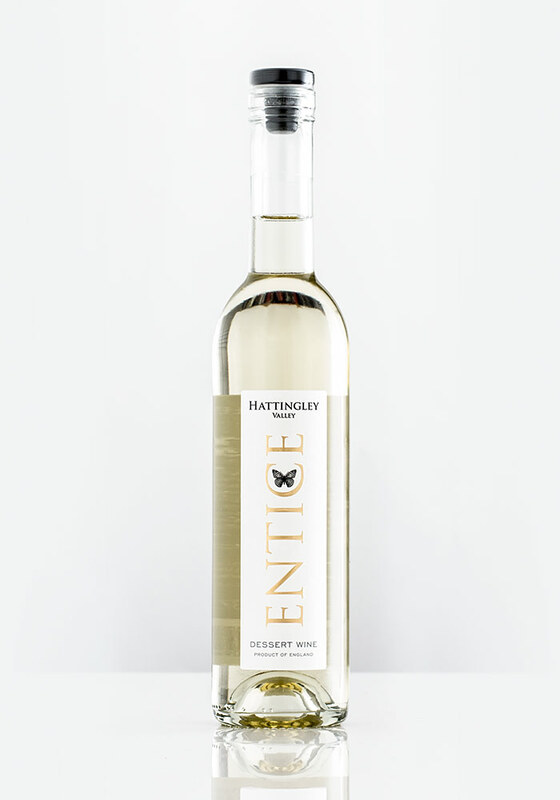 We've just seen the hotly anticipated launch of Hattingley’s incredibly popular Entice dessert wine. We were lucky enough to be amongst the first to taste this wonderful wine, you can read my thoughts below. 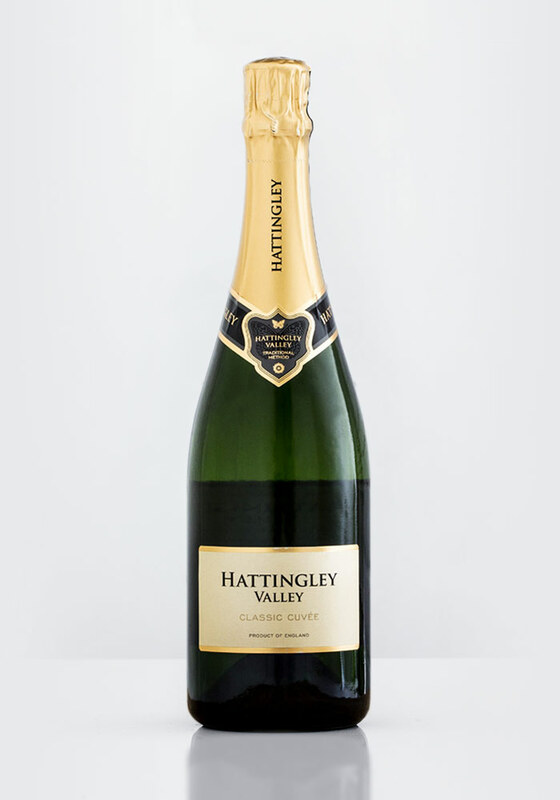 Also due imminently is the release of the Classic Reserve, Hattingley’s first English Sparkling wine to incorporate reserve wines into the blend to help to establish a signature house style. The reserve wine integration brings a new level of complexity to the Cuvée and is one to look out for! A new vintage (2013) of the premium Kings Cuvée will also be released in September. 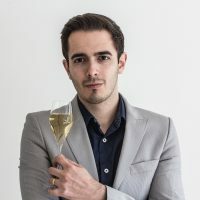 Finally, winemaker Jacob Leadley will also launch his own range of sparkling wines under his beautifully crafted Black Chalk label later in the year. It’s truly going to be a busy year for the team! We finish our tour at the tasting room, where I firstly sit down with Zoë for a short interview about her experience as apprentice winemaker at Hattingley. Zoë's passion for what she has learnt and achieved so far is immediately apparent. We’ll be posting a full transcript of my interview with Zoë in the coming weeks, so look out for that! Finally, the GBW team is treated to perhaps the most diverse four wine tasting I’ve had at a vineyard. 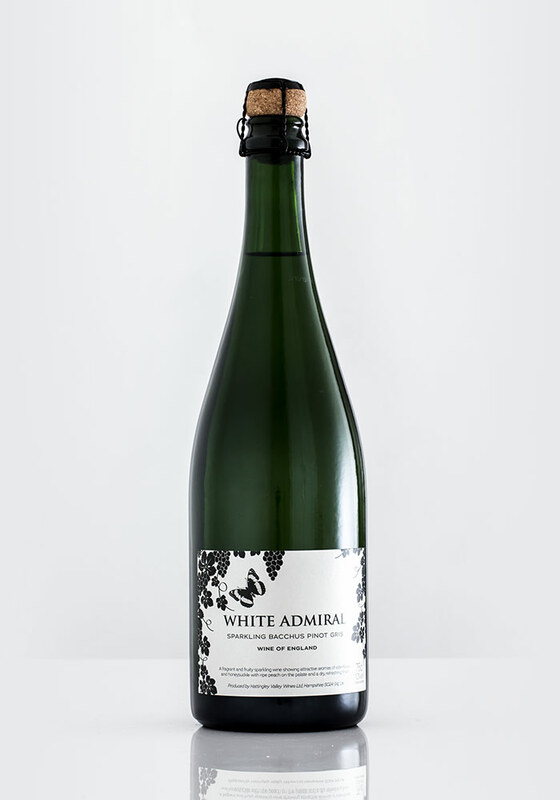 We sample the contrasting sparkling wines White Admiral and Classic Cuvée 2013, the wondrous Entice 2016 and the unique Aqua Vita – a spirit made from Chardonnay distilled five times! The wine opens up with a light fruity and floral nose; aromas of lime, apple and slight peachy notes with aromatic hints of elderflower and lemongrass. To taste, the wine has a soft easy drinking profile. Refreshing citrus zing of lemon and lime with hints of grapefruit. Crunchy apples and pears on the mid taste leading to a finish of elderflower with light grassy notes. A curiously different glass of wine. The aromatic qualities of the Bacchus grape really suit this fresh and light approach to sparkling wine. A Chardonnay dominant sparkling wine that also incorporates a small proportion (2%) of Pinot Gris into the blend. Partially oak aged for 8 months in old barrels with 21 months on the less. Fresh crisp green apple aromas, with delicate spiced notes and hints of sweet vanilla. The palate on the Classic Cuvée is ripe, rounded and appealing. Baked apple and pear with warmer orchard fruit notes, prominent acidity with great cut through and balance. For me, the highlight of our visit to Hattingley was a preview of the much awaited Entice 2016. This wine is the result of a late harvest, post harvest freeze and 36 hour slow pressing. A vibrant and perfumed nose of lime zest and gooseberry with sweet mango and rose petal. To taste, the wine has a supple, silky texture that really coats the mouth. Ripe tropical fruit flavours with sweet peach and elderflower. What makes this so exciting is the citrus cut through and perfectly poised acidity that really keeps this wine alive. 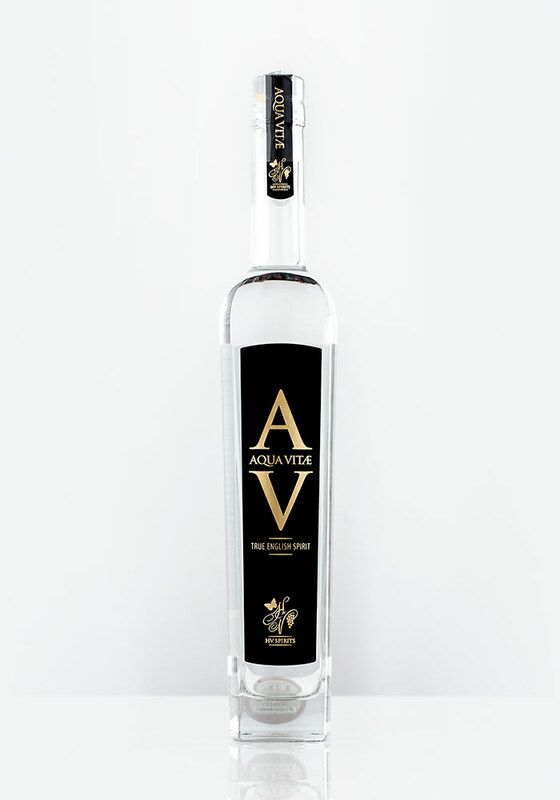 Described as something like a white Whisky, the Hattingley Aqua Vitae is made from Chardonnay grape juice, distilled five times. A heady strong aroma of alcohol, light zest and floral notes. Tasted neat, the AV is warming and distinctive, with a sweet hint of candied sugar. Honestly I am not quite sure how to describe it, but I like it! We'll be doing more with the AV on an upcoming feature about English Wine-based spirits.